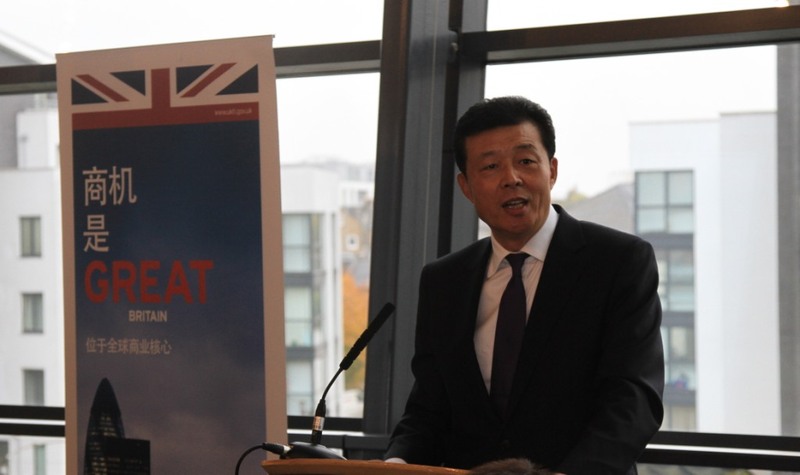 Today marks another significant advance in China–UK relations. This progress is the opening of the UK-China Infrastructure Investment Conference. On behalf of the Chinese Embassy in the UK, I am delighted to welcome you all to this Conference. Infrastructure is a new area of collaboration for our two countries. It has the strong backing of the Chinese and British governments. In June this year, Premier Wen Jiabao met with Prime Minister David Cameron in London during his visit to the UK. During that meeting, the two Premiers reached agreement on strengthening our infrastructure cooperation. In September, Vice Premier Wang Qishan and Chancellor George Osborne co-chaired the fourth China-UK Economic and Financial Dialogue in London. One highlight of the meeting was discussion on infrastructure. This led to China and Britain signing an MOU on strengthening infrastructure cooperation. The MOU also established an infrastructure task force. Our conference today is a first major step to follow up on our leaders' agreement. Infrastructure investment will add fresh momentum to deepen our commercial ties. Currently our economic partnership has a focus on trade in goods and services. Through this infrastructure initiative we can expand relations to investment cooperation. In turn this will take us from one-way to two-way capital flow. Also it will lead us from greenfield investment to equity purchase, then onto merger and acquisition and wider forms of investment. I am glad that this conference will discuss investment opportunities, operational models and rules of access of the British infrastructure market. In the course of your discussions I understand that energy, transport and urban development will be identified as three major areas of investment cooperation. I believe that both Britain and China will greatly benefit from their shared commitment to open market policies. Chinese investment in British public projects will provide further proof of the level of market openness in Britain. 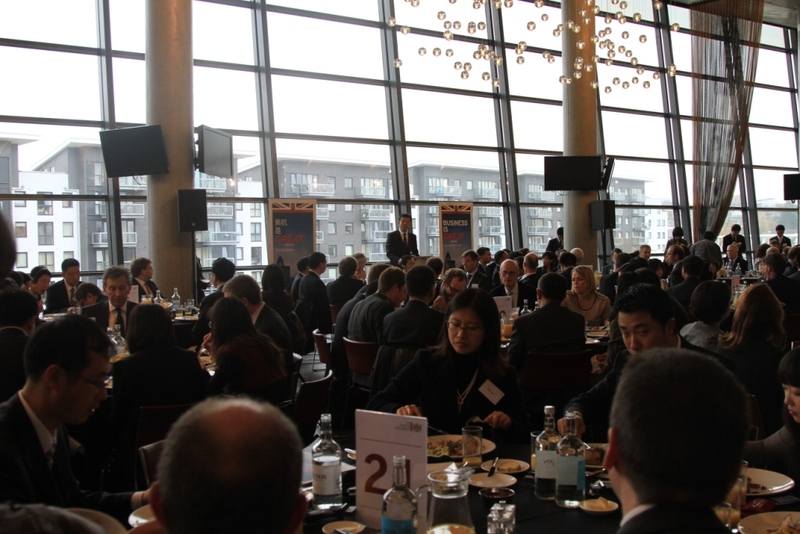 Just as many British businesses have invested in China many Chinese businesses are eager to invest in the UK. This infrastructure initiative is a welcome signal to Chinese business. They will welcome the potential opportunity for Chinese businesses to go global, diversify investment and raise their international profile. We have made a good start on the principles. But how are we to build a strong cooperation in infrastructure? I believe China and Britain should be committed to three important principles for success in this collaboration. First, we must pursue win-win outcomes. This means improving Britain's infrastructure but also ensuring Chinese enterprises' investment returns in these projects. Second, we must harness all our strengths in finance, technology and managerial expertise. This provides an opportunity to move from joint financing to joint construction and joint management. Third, we must build a favorable policy environment. To do so, specific concerns in market access, labor access and equipment certification need to be addressed. In addition to these three principles we will need to be open-minded and down-to-earth. Cooperation in infrastructure investment is bound to be a long journey. Our conference today is only the first step. Going forward, our business leaders will be taking the centre stage. They will have a responsibility to seize opportunities. The outcome can contribute to productive infrastructure cooperation. That can then lead to a further deepening of our economic partnership.